The collaborative competition is now open for entries and closes at midnight (NZ time) 15 November 2013. Entries received after this will not be considered. Judges are Michelle Elvy and Tim Jones, and there is a minimum prize pool of $500. There is an entry fee of $20 per entry which is equivalent to $10 per person since each entry must be a collaboration between two people. Write your collaborative story according to the competition rules below. Do NOT include either of the authors’ names anywhere in the story document. Save your story as a .doc, .docx, or .rtf file. NO names are to appear anywhere in this file. Entries will be acknowledged and you will be sent details for payment of the entry fee. Your entry will be confirmed once the entry fee has been received. All correspondence will be directed to the email address from which your submission is received. Please submit your entry only once. The competition is open to all New Zealand citizens and residents, and each entry must be the combined work of two people. Entries must be previously unpublished (this includes in print and online) and previously unplaced in any other competition. Story: Either one story (maximum 750 words) written collaboratively, or two stories (total word count not to exceed 750 words) where one has been written as a response to the other. Examples here. Poem: Either one poem written collaboratively (maximum of 60 lines) or two poems (total number of lines not to exceed 60) where one has been written as a response to the other. Examples here. Combination: One poem (maximum 30 lines) and one story (maximum 375 words) where one has been written in response to the other. Examples here. Use our Ask a Question page if you would like more information. Copyright remains with the authors but NorthWrite reserves the right to anthologise and/or publish stories either online or in print. 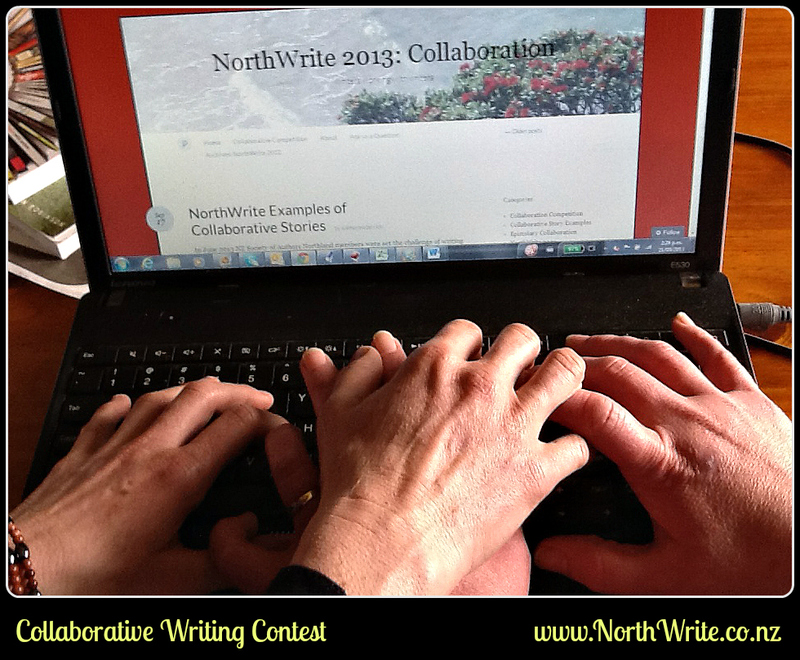 Judges will not provide individual feedback; however, there will be an overall judges’ report published on the NorthWrite website after the winners have been announced. Judges decisions are final. No correspondence will be entered into.